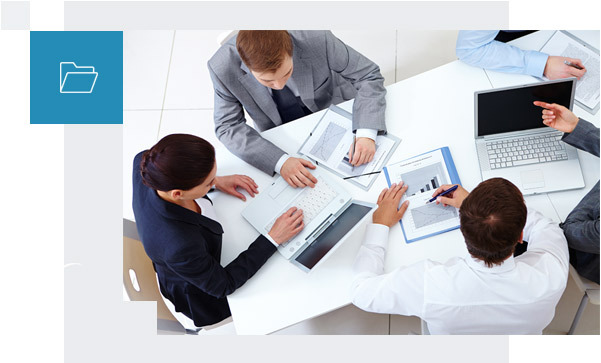 EASY OPEN GROUP provides accounting services. We are ready to solve accounting and tax problems of any complexity, and we are ready to cooperate with different organizations. Only specialists with long-term experience carry out accounting and document processing. Bookkeeping with UAB EASY OPEN GROUP will allow you to adapt to any circumstances flexibly and effectively. Our company is ready to provide you with the full range of services needed for bookkeeping of primary documents, reporting and optimal tax arrangements. We are providing payroll and HR administration outsourcing services. We provide book-keeping services from micro companies to large groups from primary documents to annual financial statement. We declare the taxes in Tax Authorities and Social Security Department electronical systems. We establish, sell and liquidate companies of various sizes and profitability: individual companies, private limited liability companies and others. We are professionals who have been calculating salaries, bonuses, incapacity benefits, holidays and everything related to payroll for many years. We prepare contracts, orders, requests, collecting logs and registers related to HR administration according to the needs of our customers. We advise on tax optimization issues, enable us to conveniently track your company's financial performance to make timely changes and make the right decisions. A fiscal agent service is for businesses operating within or outside the European Union who are obliged to become a VAT payer in the territory of Lithuania. We represent our clients at the Tax Authorities in recovering VAT and other taxes. During the year closing procedure, we reconciliate the debts with buyers and suppliers, with Tax Authorities, Social Security Department. We present balance sheets, profit and loss statements, cash flow statements to our clients when needed. After confirmation, we declare in the Tax Authority and the Center of Registers. We provide bank payments for clients in Lithuania, the European Union, and around the world.